Vincent & wife Coral. 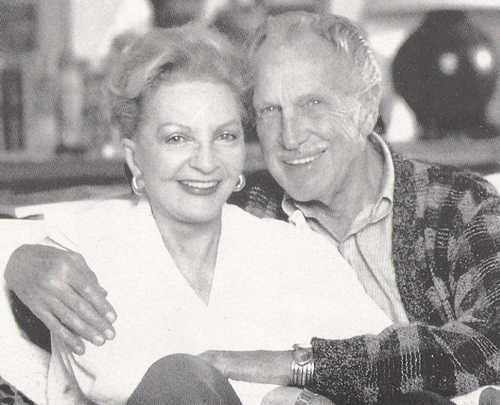 Vincent and his wife, Australian actress Coral Browne. Wallpaper and background images in the Vincent Price club tagged: vincent price coral browne horror movie. What a sweet photo... any idea how long they were married? Vincent and Coral were married for 17 years, Coral was Vincent's third wife. They met when making the the horror movie Theatre Of Blood in 1973 and married in October 1974. Coral died of breast cancer in May, 1991 - two days after Vincent's 80th birthday. cool! (how he met her, not the cancer part) ... and I finally made it back to the library, so you've been rated. Now I can't even access Fanpop with my computer. I think it's just about ready to bite the big one.